Yoga singlet in 100% organic cotton. Detail stitches front and back, front pocket. 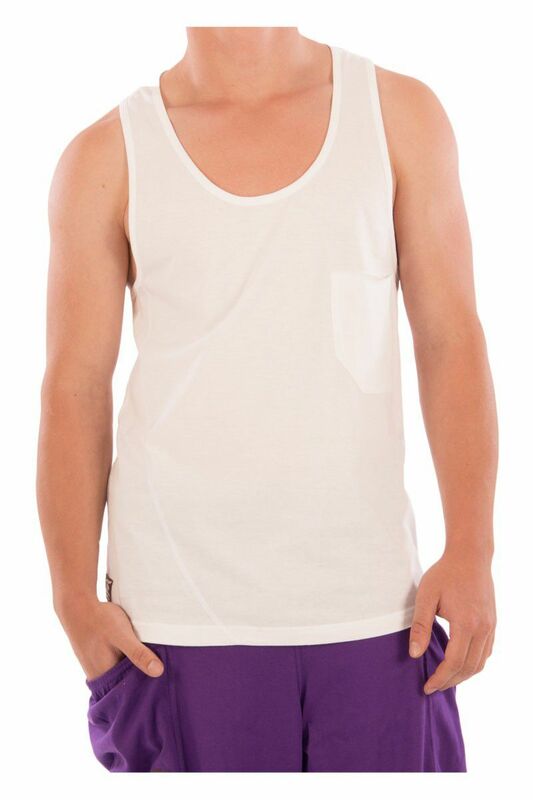 Men's singlet for yoga and leisure. Slim fit makes it stays in place even if you're practicing inversions.